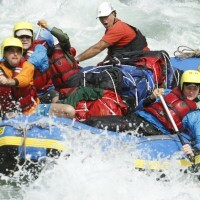 Adventure Add on’s come in all forms from White Water Rafting to Paragliding. 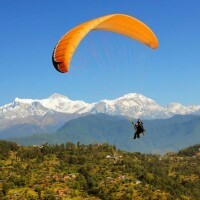 While in Nepal why not join in on some of these short adrenaline based activities in the lap of the Himalaya. Check out some of the Adventures on offer that you can add on to your mountain biking holiday in Nepal. 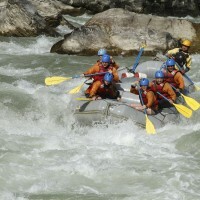 The Kaligandaki is one of Nepal’s most beautiful rivers. 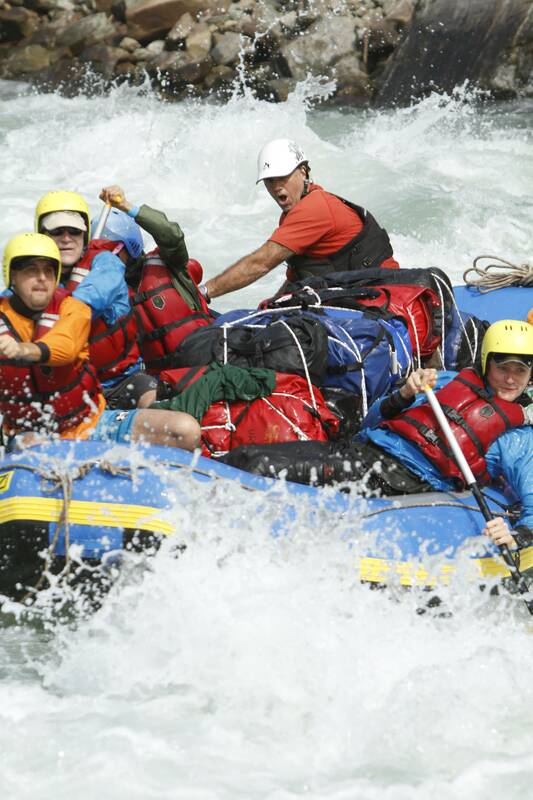 This excellent 3 day white water trip is sure to be an unforgettable rafting adventure. The perfect addition to a mountain biking trip in the Jomsom Region. 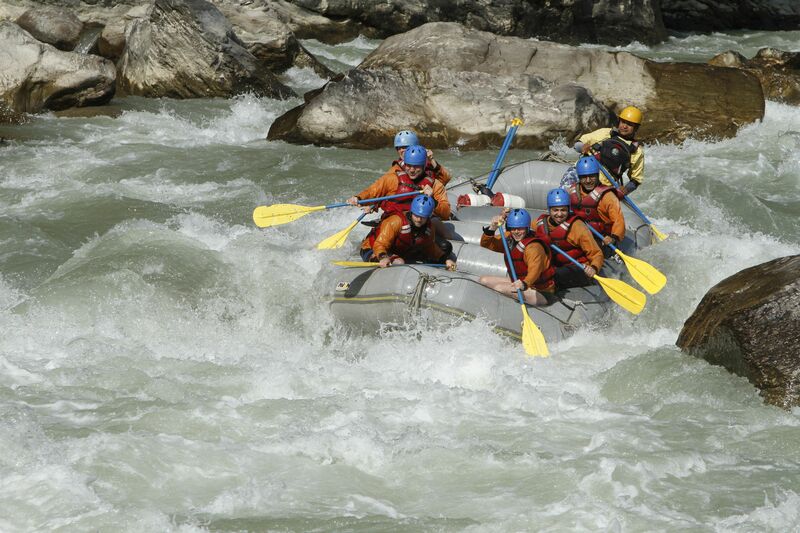 One of Nepal’s more gentle rivers, it’s a great first time rafting experience that can link up a journey between Kathmandu, Pokhara and Chitwan. 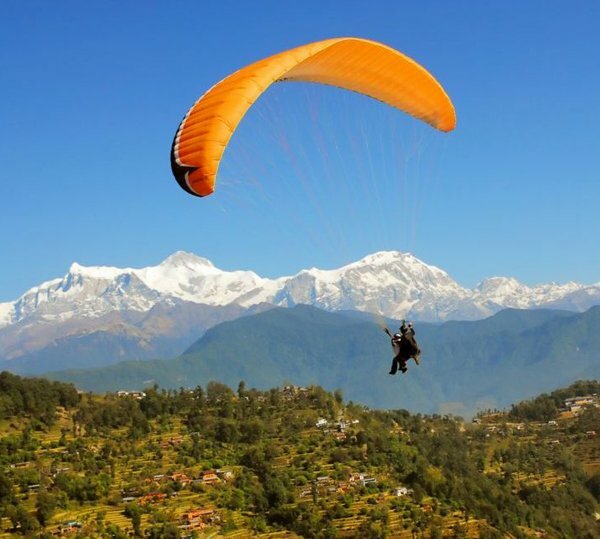 Glide like an eagle and get superb views of Annapurna and Dhaulagiri, what an awesome way to top off a trip to Nepal. This is a great add on if you are biking the Jomsom Muktinath Trail, this is one of the most popular hikes or short treks in Nepal. 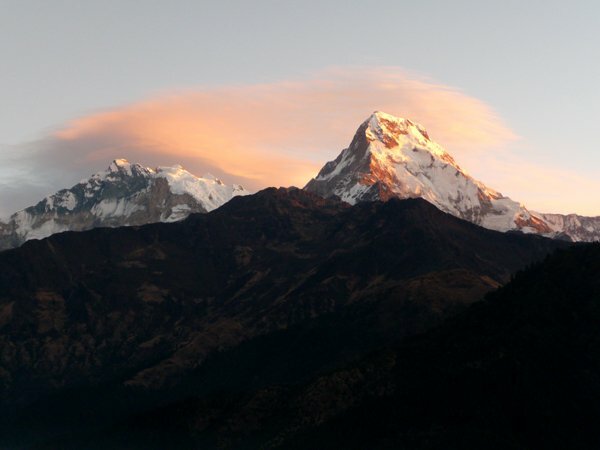 View a spectacular sunrise over the Annapurna Range and a great way to end your trip in Nepal. 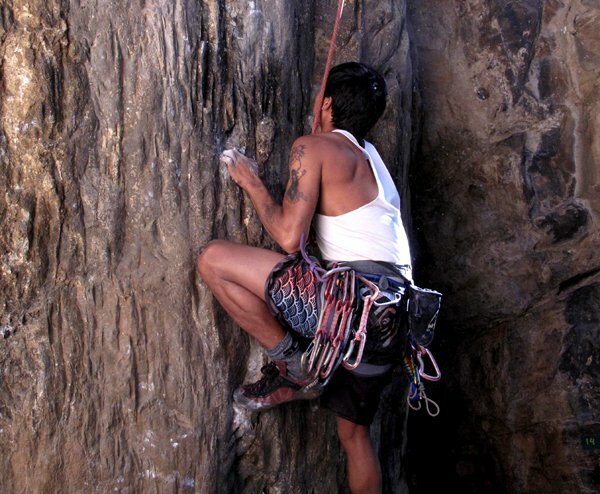 Rock climbing spots are situated to the north and northwest of the valley. Kathmandu has a roster of stone walls which creates a chance for you to practice and hone your skills before taking on the real thing. 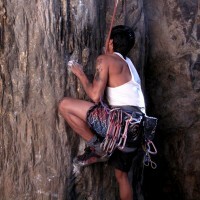 Nagarjun, Balaju, Shivapuri and Budhanilakantha are the best places around Kathmandu to climb. 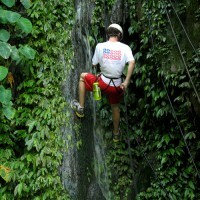 Nagarjun and Shivapuri hills have some excellent cliffs for you to climb. Both places are just a stone’s throw away from the city. 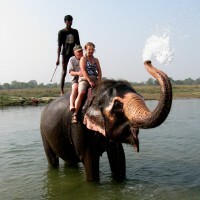 A visit to Chitwan is a great way to break up a journey between Kathmandu and Pokhara. Relax in the jungle, visit the elephant breeding center, bath elephants and take a safari into the jungle. Price Includes all transport, two nights jungle lodge accommodation, wildlife guides, two dinners, two lunches, two breakfasts and all jungle activities as per itinerary. Chitwan is also an awesome place for mountain biking. Please note that Elephant Riding is no longer permitted in Nepal, but you still get the chance to interact with Elephants. 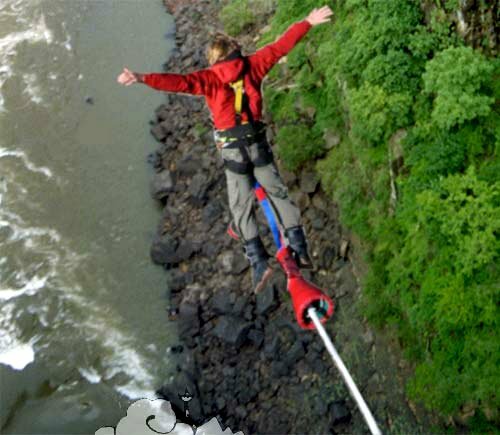 Hurl yourself into the sheer sided canyon with the Bhote Koshi River roaring below you. 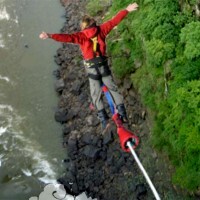 The ultimate adrenaline rush. 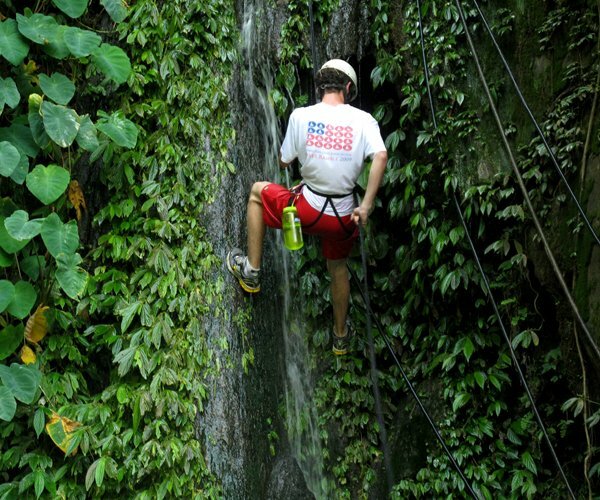 Get lost in the wilderness as you plunge, roll, wade and abseil downwards in this amazing canyoning experience. 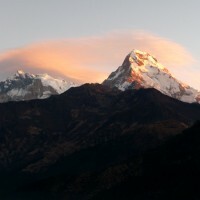 Are you thinking that visiting Nepal is all about trekking and adventure? Well we might like you to think that, but we also know that you need to relax on holiday as well. Set in the foothills around Kathmandu Valley the Nepal Yoga Retreat is a specially designed haven for those seeking some soul defining peace and quiet among the jungle surrounds and monasteries. Experience the dramatic beauty of the Himalaya as we fly you past Mount Everest, this is the chance of a life time to view the highest mountain in the world amidst the impressive Himalaya range. Adventure Add on’s are all set packaged booked through Himalayan Single Tracks chosen operating partners for these activities. We choose our partners of safety, service and quality. Just let us know which activities you are interspersed in and we will send you prices and let you know the best way to logistcally tie them in with your holiday.